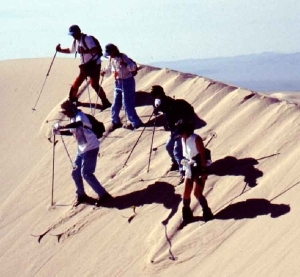 Hi Skiers, Being eternal optimists, we are planning ski trips for the coming season. The long range forecast the Sierra Nevada Mtns is still acceptable. Howard Sheckter now thinks Mammoth will get good snow before Thanksgiving. As always, If we get local snow, I’ll announce local ski trips to this email list. If you want to join my email list, send an email to skisection@gmail.com. You will receive updates to the schedule, including local ski trips when we have local snow. Nov. 21-25, Mammoth Thanksgiving. Alice has 6 signups for this trip, and the condo sleeps 9. If you would like to come, let Alice know ASAP. Alice has put our large condo back in the “for rent” list, but if no one takes it, we are stuck with it. I did not read Howard Sheckter’s forecast correctly. He now forecasts a foot of snow Wed, and more during the weekend. It will be a snowy good time. The cost is $300 for four nights and a lot of food. Thanksgiving dinner is included. Transportation is by carpool. Signup via email to <aliceandorbill@cox.net> As much as I love this trip, family obligations require me elsewhere. I’ll be in Arnold with my granddaughters, my brother, and his family. 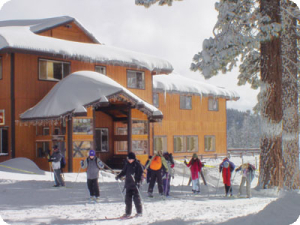 Dec. 28-Jan. 1, New Years in Bear Valley. Bear Valley is north of Yosemite, in Alpine County. 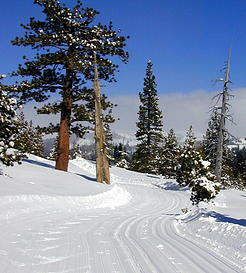 It has a small downhill ski resort, and a large cross country track system. We stay in condos in the village of Bear Valley. It is too early for a snow forecast, but the storms start this week. The condo cost is $260 each. Food & carpool not included. Signup via email to <aliceandorbill@cox.net> I will be on this outing. Feb 20-24, Montecito Sequoia Lodge. This is a great trip, with or without snow. If we don’t have snow, we can hike in the redwoods. The food is great, and they even pack lunches for us. This is also a carpool trip. Here is the actual cost charged by the Lodge: $320 each for 3 to a room (3 beds), $475 each for two to a room (shared bed). We want to keep the cost low so more of you will come. The Lodge has a very generous refund policy, so you can cancel 48 hours in advance and get a full refund. You can sign up now, and change your mind later. The deposit for this trip is $50, and it is refundable if you cancel more than 4 days before the trip. Signup via email to Monique Alkemade <monique_alkemade@yahoo.com>. 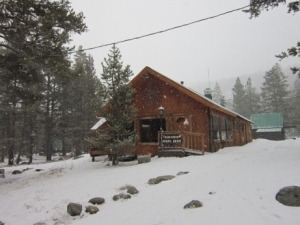 If the snow is good, we would like to add a ski trips to Clair Tappaan Lodge. Please send Mike Fry (skisection@gmail.com) suggestions for additional trips.